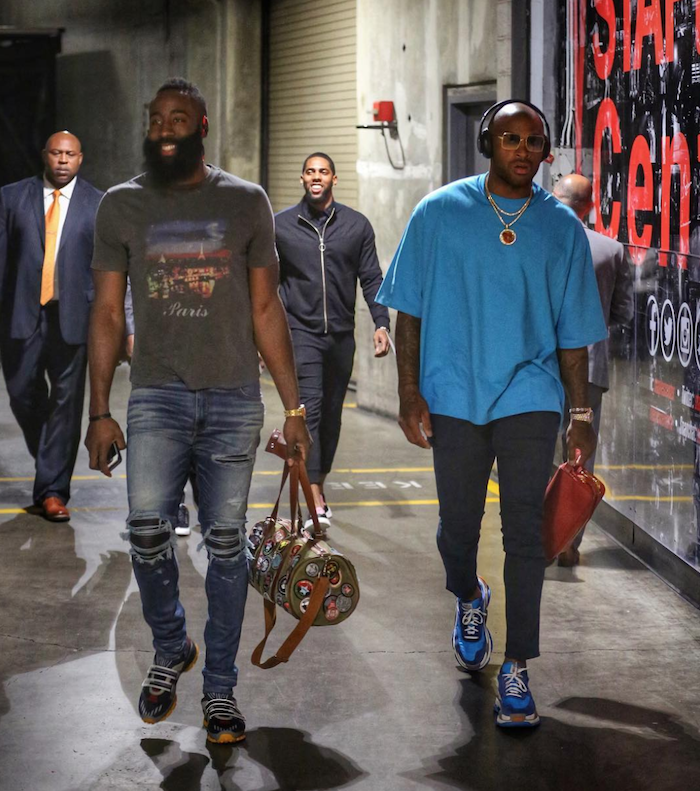 I know I mentioned this in a previous post, but I'm completely crushing on James Harden's Saint Laurent Noe Patches Canvas Duffle bag. The men's patch embellished canvas piece is a super cool boyscout bag meets 70's cloth gym bag. I love the bag almost as much as i love the beard. wink wink.